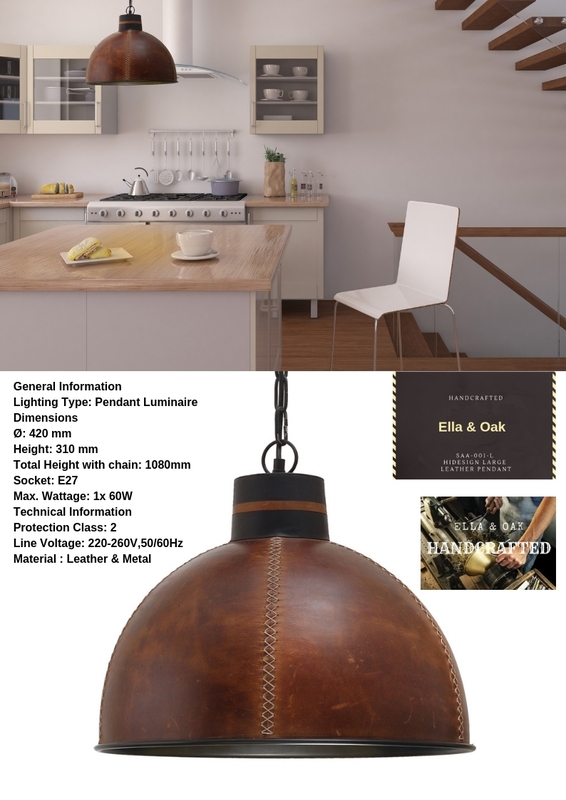 What can we say about the large Hidesign Pendant. It is the amalgamation of the work of Metal and Leather craftsmen. "THE HIDESIGN LARGE" has a diameter of 420mm with a height of 310mm. Total height with the ceiling attachment and chain is 1080mm which can be adjusted by removing chain links. 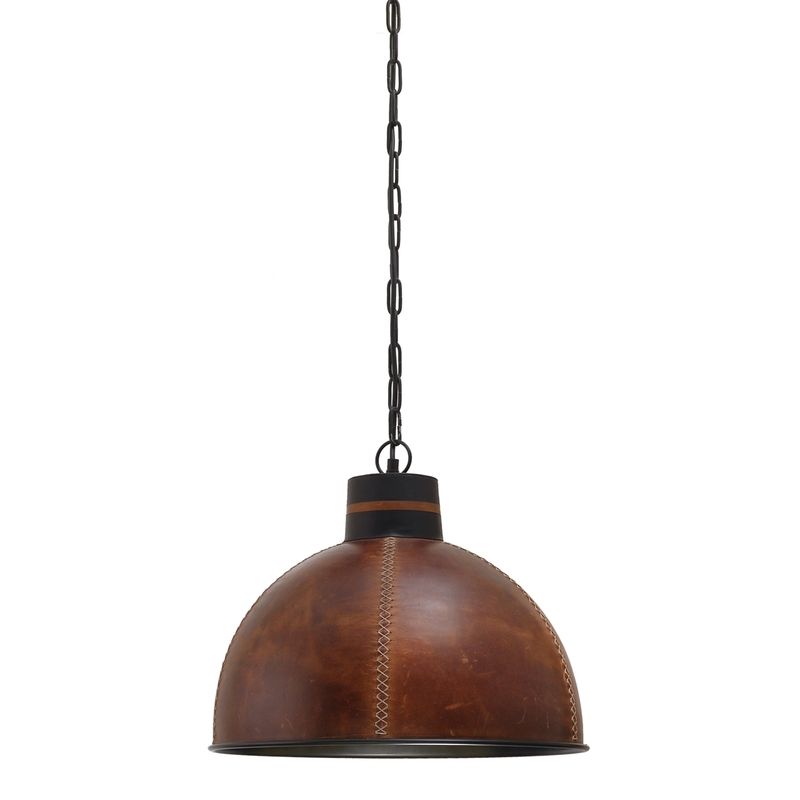 This pendant will add a touch of class to any space. 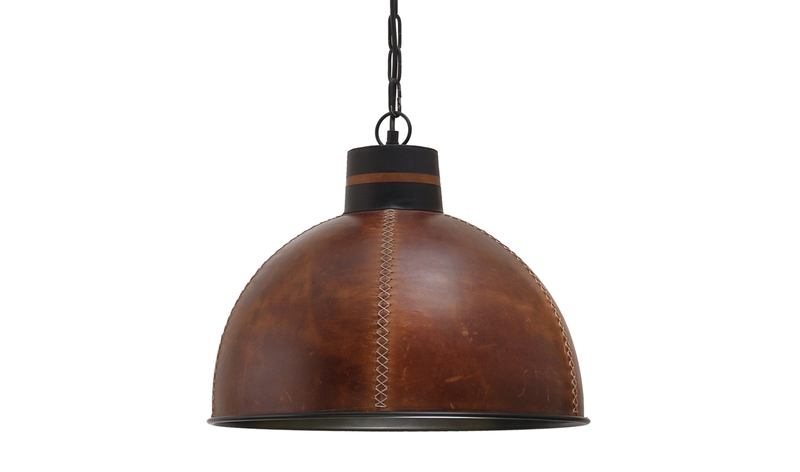 The pendant consists of the top part which is made with a metal base and encased in hand stitched genuine hide leather. The pendant exudes the smell of quality leather. Larger globes can be used in this pendant. Our lights are wired with Australian Standards compliant parts and attachments. All lights are fully Australian Standards Compliant. Please note as with any handcrafted product there will be minor differences between examples.